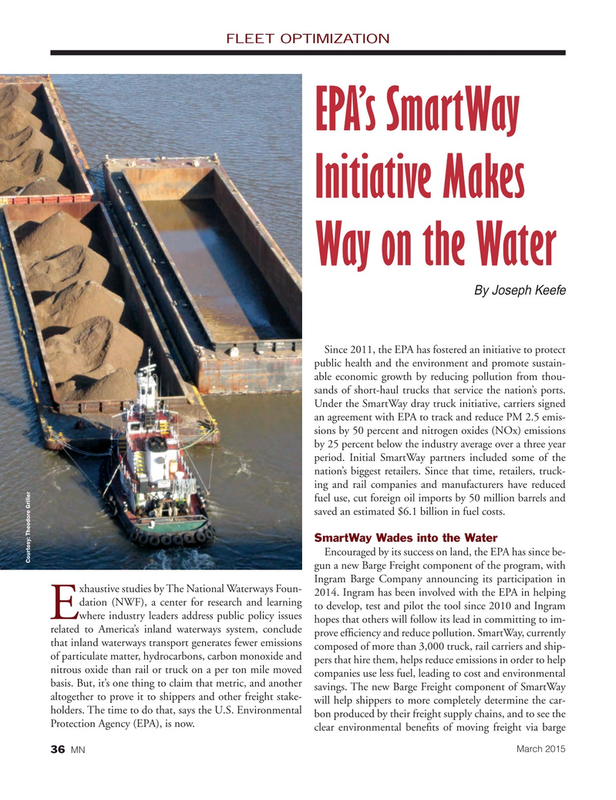 Since 2011, the EPA has fostered an initiative to protect public health and the environment and promote sustain- able economic growth by reducing pollution from thou- sands of short-haul trucks that service the nation’s ports. Under the SmartWay dray truck initiative, carriers signed an agreement with EPA to track and reduce PM 2.5 emis- sions by 50 percent and nitrogen oxides (NOx) emissions by 25 percent below the industry average over a three year period. Initial SmartWay partners included some of the nation’s biggest retailers. Since that time, retailers, truck- ing and rail companies and manufacturers have reduced fuel use, cut foreign oil imports by 50 million barrels and saved an estimated $6.1 billion in fuel costs.